Zip Checklist is an easy-to-use team task manager that allows business owners to create and share checklists with the supervisors and managers of each store location. It places productivity in your hands. Manage your businesses’ daily, weekly and monthly checklists or view finished and unfinished tasks at your fingertips. Take your standard operating procedures off the clipboard and into everyone's pocket. "The Zip Checklist task management system provides us the needed flexibility to handle management tasks and team task management efficiently. Now I'm able delegate tasks to the appropriate staff while saving hours each week." "It's easier than ever to hold staff accountable to our standard operating procedures. 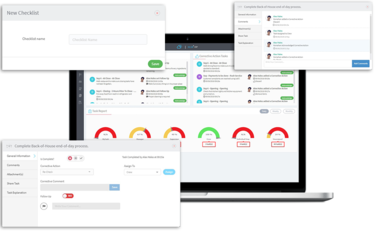 The Zip Checklist team task management system gives us real-time task status updates so we can ensure task completion at all of our sites, anytime." "Team task management with paper checklists made managing shared tasks a nightmare! 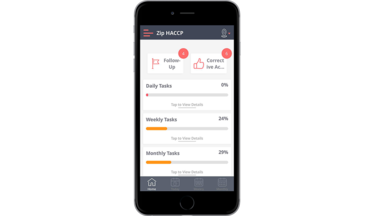 Thanks to Zip Checklist all of our task lists are online making them extremely accessible, easy to track and easy to hold employees accountable." Our online task management app makes team task management of daily, weekly and monthly task to do lists effortless. Try it free. Providing the mobility to manage your business anytime from anywhere. Consistently great experiences are what keeps customers coming back, but that is often a hard task to achieve. Using our online task manager, you can save new standard operating procedure task lists for managers, supervisors, and staff to follow making sure the guest experience is the same every time no matter who is working. You'll no longer have to worry about your staff correctly following standard operating procedures. We've made it effortless to update sop task lists while keeping staff members informed. 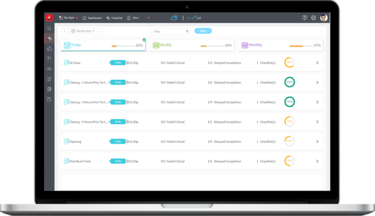 With real-time syncing, your team will always have the most up-to-date checklist. You never want a team member to feel overloaded with work. With shared todo lists, you can ensure task lists are delegated evenly between your departments. Your staff gets notified when assigned a standard operating task from any daily, weekly, or monthly checklist. Follow business operation checklists on any desktop, tablet or mobile device. You can be sure your customers will have the same great guest experience every time by putting standard operating procedures in the hands of your staff at all times. Never be in the dark on what's taking place at your business location. See the status in real-time of any shared tasks on your phone with the mobile task manager app. With everything stored in the cloud, you'll never lose another checklist. 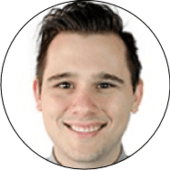 Make sure your team is always up to speed with the latest standard operating procedures to keep operations running smoothly. You can use printed sop task reports to make checklist improvements and coach staff to make steady improvements. Mobile Team Task Management Apps - Easy and Free! Keep track of daily, weekly and monthly task lists and ensure standard operation procedures are followed. Stay on top of shared task lists by adding task reminders with due dates. With the task manager app you can rest assured that no task or task list is forgotten. 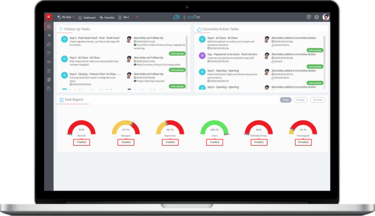 Get task status alerts in real-time and simplify follow up management tasks. Our advanced task manager app alerts you of upcoming and overdue tasks. Managers can easily assign checklist tasks to any staff member with the advanced task manager app. It's simplified the whole task management process from start to finish! View real-time information of any shared task list. Follow up on tasks that are overdue and get insights into any task list. Always have a digital record on hand. Show any health inspector or other regulatory body tasks records on your advanced task manager app. 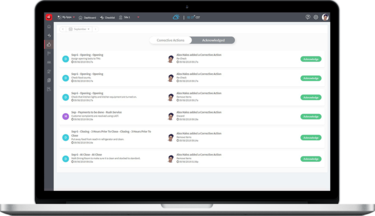 Save time by moving your task management needs online. 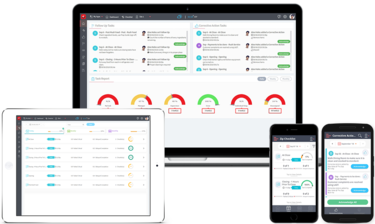 Easily communicate standard operating procedures, task guidelines, and task templates across your organization. Zip Checklist works on your iPad or Android tablets and mobile devices. 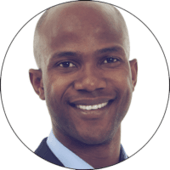 For a few dollars a month, you can save time or ensure task completion on all the sites and say good bye to manually tracking checklists for good. "The Zip Checklist task management system provides us the needed flexibility to handle management tasks and team task management efficiently. Now I'm able to delegate tasks to the appropriate staff while saving hours each week."